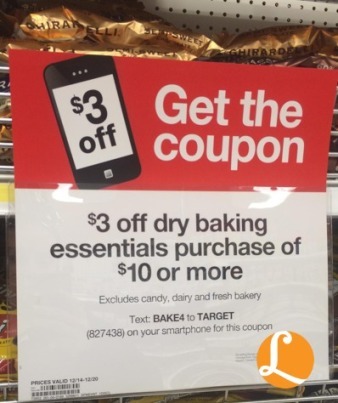 This week at Target you can save $3 off a dry baking essentials purchase of $10 or more with a current coupon available! To get this coupon, text the word BAKE4 to 827-438. You can also print the coupon here or find it in this week’s Target ad in-store. The coupon is valid through 12/20. With a deal like this, the deal ideas are endless and can be customized to what you’re in need of and have coupons for. We’ve got a deal idea for you below just to get you started. My favorite deal I’ve come up with involves Truvia Baking Blend Sugar and Betty Crocker Frosting. The Truvia is priced at $5.89 and we’ve got a high value $2/1 Truvia Product, Any coupon as well as a $2/1 Truvia Baking Blend, 1.5 lb. bag Ibotta Deposit. 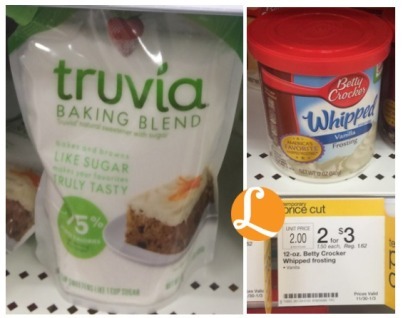 The other items in my deal are Betty Crocker Frosting, on temporary price cut for $1.50 and we’ve got a $0.75/2 Betty Crocker Ready to Spread Frosting, Supreme Brownie Mix, Dessert Bar Mix, SuperMoist Cake Mix or Cookie Mix coupon available to print as well as a B2G1 Betty Crocker Cookie Mix or Frosting Items, Target Mobile (Text OFFERS to 827-438) offer. Buying (1) Truvia Baking Blend and (3) Betty Crocker Frostings will bring you to a $10.39 total. After all the coupons and offers pay only $0.29 per item. Awesome deal! 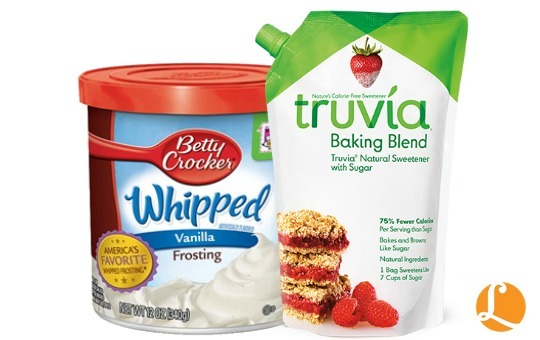 There is also a $1/1 Truvía® Baking Blend SavingStar Offer as well as a $0.75/2 Betty Crocker Ready to Spread Frosting, Supreme Brownie Mix, Dessert Bar Mix, SuperMoist Cake Mix, or Cookie Mix, 12.5 oz.+, SavingStar available as well! Let us know what other deals you come up with! Back Again! $4/2 Carnation Breakfast Essentials Coupon + Lots of Deals!